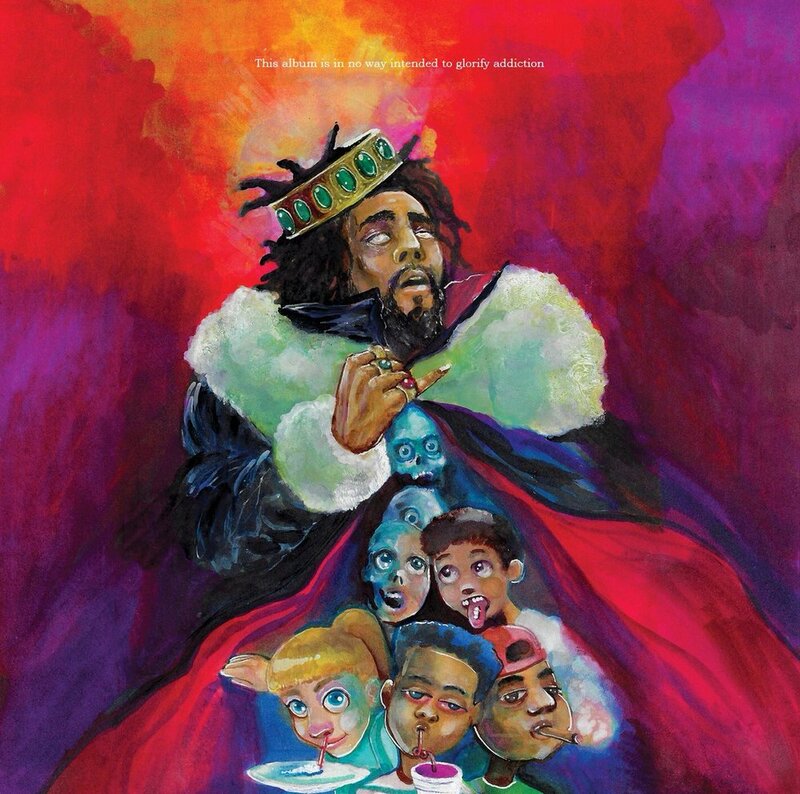 Last Friday, J.Cole dropped his latest project, called KOD. The album's artwork is interesting. At the top it reads, "this album is in no way intended to glorify addiction." It is his long-anticipated fifth studio release, and acts as a follow up to his 2016 album 4 Your Eyez Only. I think it's also interesting and important to note that the album dropped on 4/20. The whole album is about addiction. The project features 12 original tracks including an intro, interlude and an outro. Cole's album is speaking on the troubles of addiction and the nature of the world today. It's so mainstream to self-medicate with addictive and potentially harmful substances or actions. It's also often "glorified" in modern music. On Twitter, Cole said the album could stand for: Kids On Drugs, King Overdosed, or Kill Our Demons. After a full listen though, and just logically, I think all of those titles work, almost interchangeably. One of my favorite tracks on the album is Window Pain (Outro). It's a song that opens with the story of a little girl who discusses her cousin getting shot. "For the duration of this song, Cole is self-reflective and contemplative as he discusses the things he truly wishes for in life. He wants to help and care for people around him, namely his family, and he wants to finally be able to celebrate his own success after all he’s been through. Despite his own troubles, Cole understands how fortunate he is and he is very grateful for what his life has given him. He is aware that so many others, including friends of his, haven’t been as lucky and have endured tragedies. In the conclusion of this outro track, Cole asks the child why she thinks that bad things happen. The young girl has an intelligent answer in saying that she believes God is teaching humanity a lesson in preparation for a rejuvenation of the world as it is. Once society has a sufficient comprehension of evil, the girl claims that the world will restart itself due to God’s power. This new reality will be more peaceful, calm, pure and utopian" (Genius).